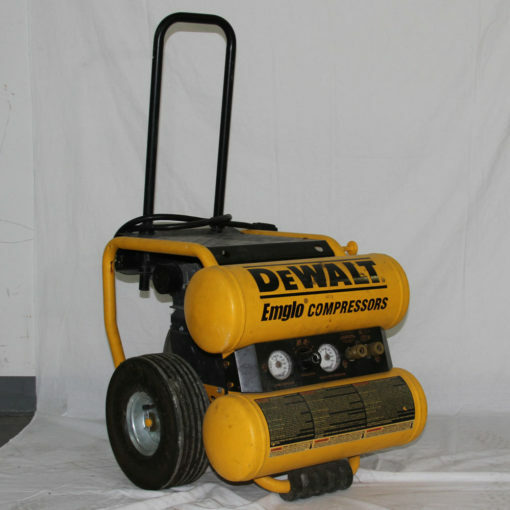 The Emglo Air-Mate air compressor is lightweight and easy to carry almost anywhere. Designed especially for the contractor and rental trades, the unique profile practically eliminates tip-over and resultant damage. 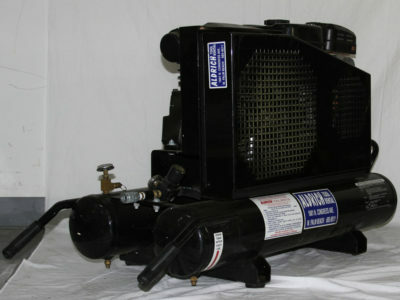 While other small portables operate at 100 psi, the Air-Mate is designed to yield 125 psi, and it comes with an air-line regulator as standard equipment. Delivers 3.6 cfm at 125 psi.